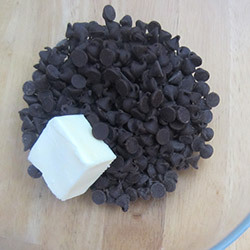 Melt chocolate and butter together and let cool a bit. 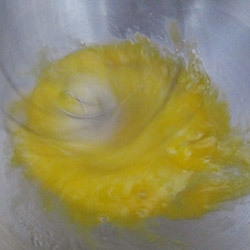 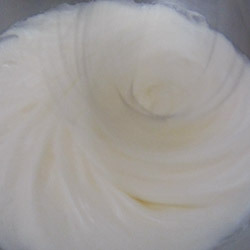 In a mixer - whip eggs and sugar 5 minutes at high speed. 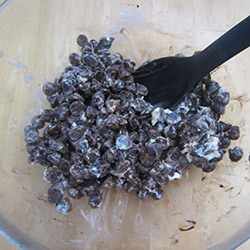 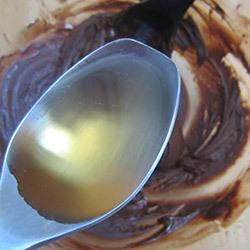 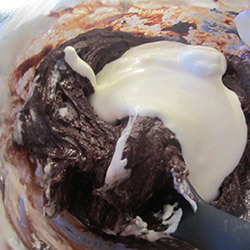 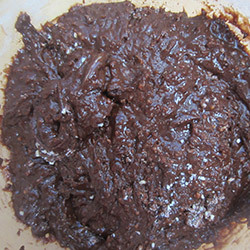 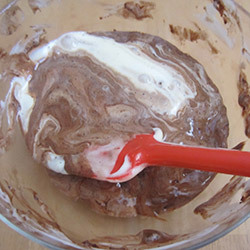 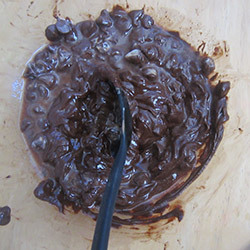 Fold the beaten eggs into the melted chocolate mixture. 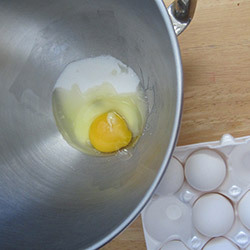 Add the liquor. 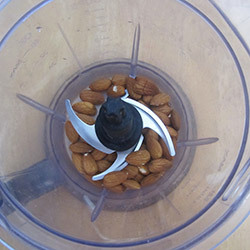 Ground the almonds. 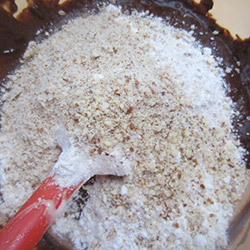 Sift the flour and baking powder in and fold. 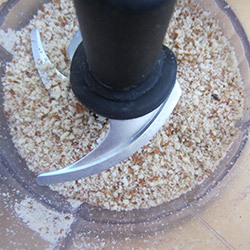 Stir in ground almonds. 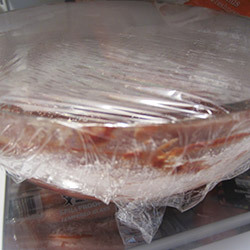 Cover with plastic wrap and refrigerate for 2 hours or until the mixture is hard. 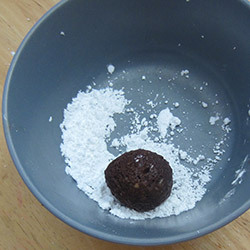 and roll each ball in it. 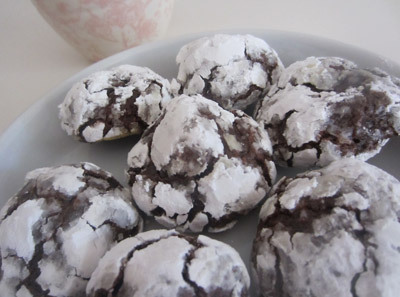 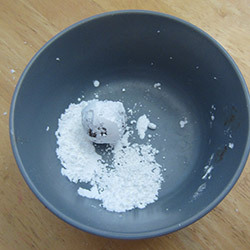 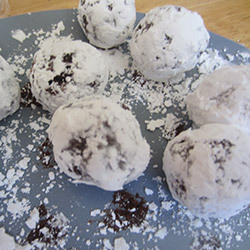 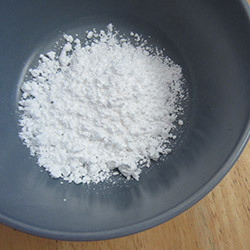 When you finish with all of them – roll each ball in powdered sugar again because some powder tends to be absorbed. 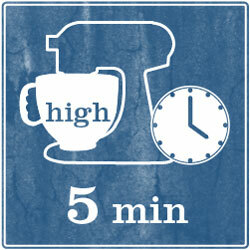 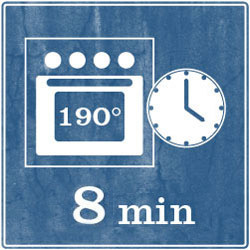 Bake at 190C for 7-8 minutes only. 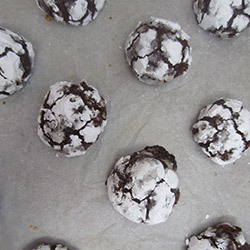 Cookies should flattened and very cracked, but will still be very soft to the touch. 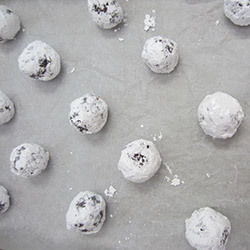 It's okay - they will harden during cooling. 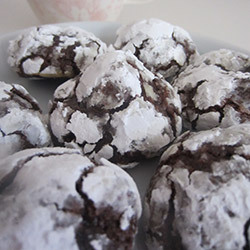 Don’t over bake them! 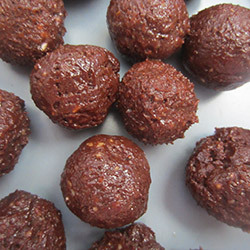 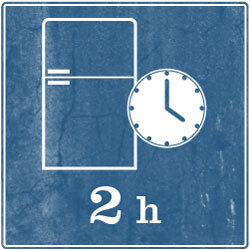 Cool completely and store in an airtight container at room temperature.